As many beer-lovers know, the words “great stouts” and “Goose Island” are somewhat synonymous–with the Bourbon County Stout varietals consistently lauded and enjoyed year after year. So, what better way to spend a cold March Sunday afternoon than at the Goose Island Clybourn Brewhouse enjoying some of Chicagoland’s best stouts? With over 30 area breweries participating (as well as one St. Louis brewery), the options and varieties were endless. 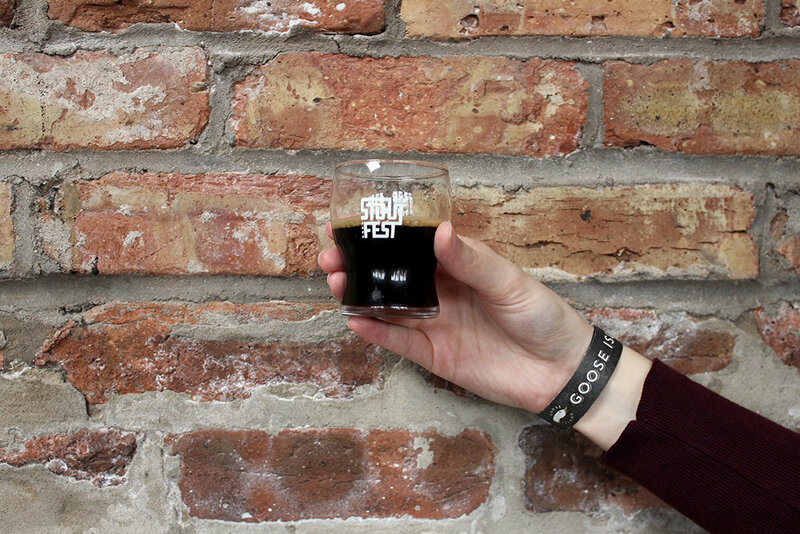 From milk stouts to the barrel-aged, dessert-infused to oyster stouts, there was no shortage of deep and complex flavor. 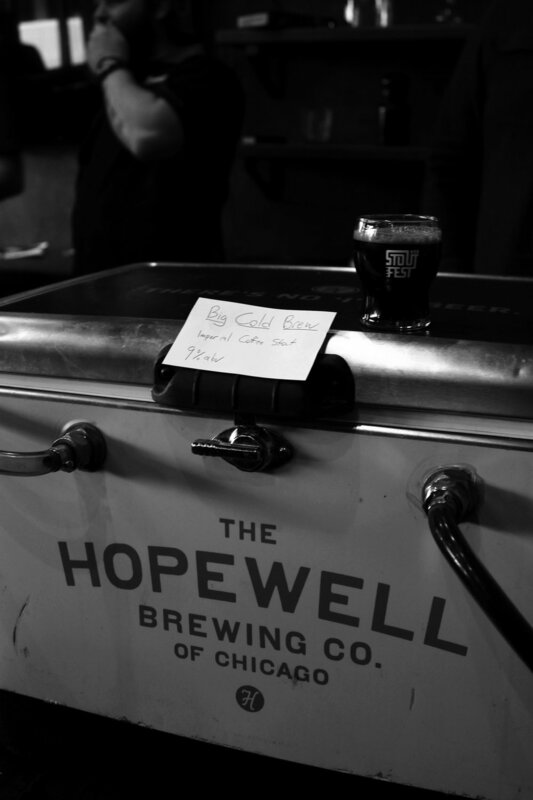 Goose Island decided to up the ante by offering their BCBS, infused with desserts. The Tiramisu was a fun flavor, with strong notes of coffee and had a great smell. While the consistency was slightly dense, it was exactly what they were going for–a drinkable dessert. Always intrigued by the brininess of the style, this oyster stout exceeded my expectations. It didn’t have that sea-forward aftertaste that some non-fans of oysters might expect–rather, it had a good mouthfeel and a very balanced flavor with a nice briny finish. Made with Metric coffee, this is a classic coffee-forward flavored stout. The coconut was fairly light and mild in comparison to the roasty flavors from the beans, but I found it to be enough, letting the coffee flavors shine and take center stage. This milk stout is made with oranges, peppers, cacao nibs, cinnamon, and vanilla–a long adjunct list that worked well together to make an extremely balanced stout. Full of flavor without being overbearing, it nailed the smooth finish. If I had to pick a personal favorite of the day, this might’ve been it. Made with coffee, coconut, and maple, this stout had the perfect blend of soothing flavors. 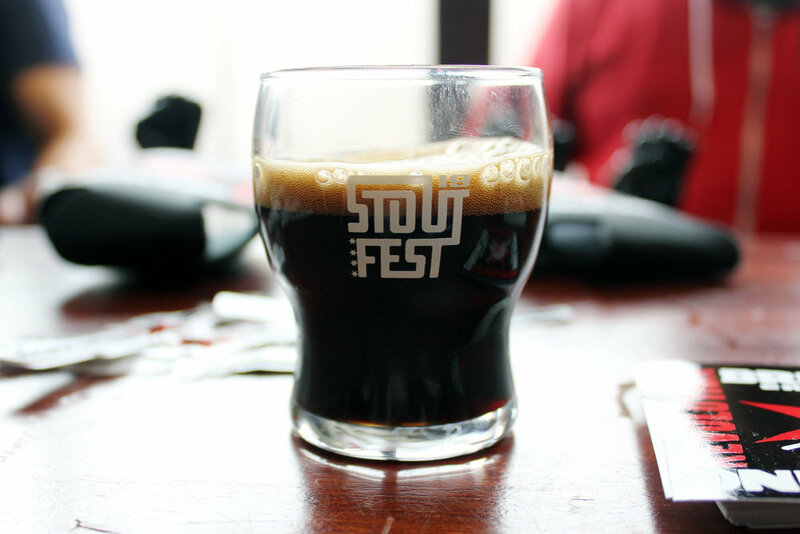 The maple was the most prominent, which was very much appreciated and stood apart from the other stouts–enough so to win the fest’s top prize, the Stoutly Cup! Similar to a classic Mexican Hot Chocolate, the strong cocoa flavor initially seemed to be too much, but the spicy notes of pepper helped balance it out, making for a smooth ale perfect for the cold weather. A classic coffee stout–not too heavy, perfectly smooth and easy to drink. After being bombarded by big and adjunct stouts all day, this simple yet delicious stout was lovely. While on the lighter side (deceivingly so at 9%), this is one that would be nice in a glass larger than the small tasting glass. Surprisingly sweet and tart but not cloying. The berry added a nice depth to the stout that was different from their other varietal (vanilla) and created a rich flavor that leaned towards the indulgent and dessert-like. Made with Dark Matter coffee, this coffee stout is a favorite annual release from HABC. It provider a sweeter and smoother finish than expected. The vanilla was very present but didn’t distract from the base coffee flavor, the perfect addition to create a unique coffee stout. Despite the “sweet chocolate” description, this coffee stout was well-rounded, leaning into the fruit notes to balance the intensity of the chocolate. As someone who doesn’t like too much chocolate, this could’ve convinced me otherwise. 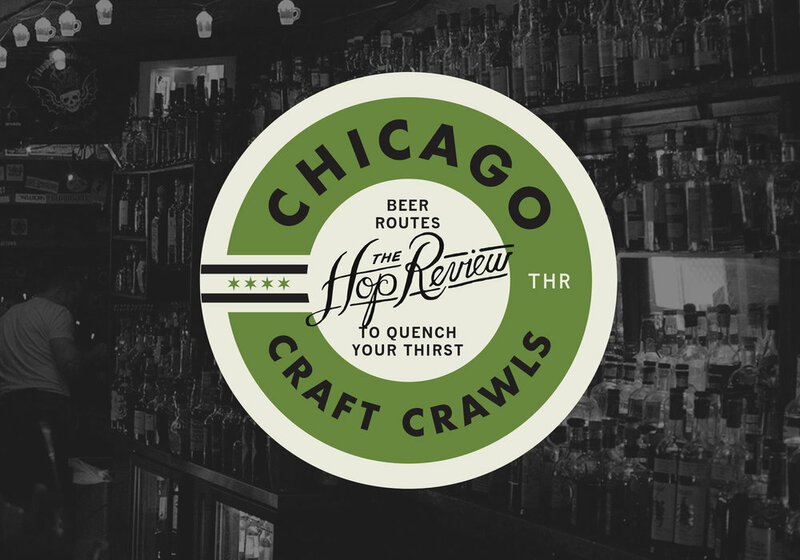 Authored and photographed by Alaina Kornfeld, a graphic designer and beer enthusiast based in Chicago. This is her fourth collaboration piece with The Hop Review.